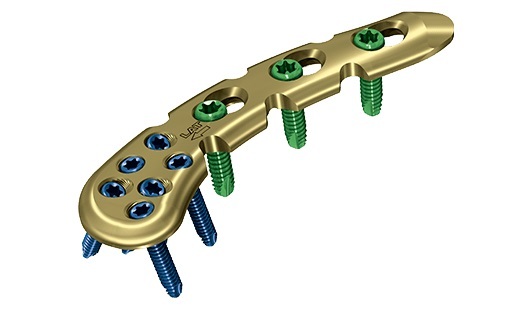 The anatomical LCP Superior Anterior Clavicle Plate from Depuy Synthes offers an optimal solution to treat fractures of the lateral clavicle and the clavicle shaft.It's LCP Combihole gives angular stability and/or compression.It is an instrument which combines strength with ductility. A placa anterior superior anatômica do Clavicle de LCP de Depuy Synthes oferece uma solução óptima tratar fraturas do clavicle lateral e do eixo do clavicle. É LCP Combihole dá a estabilidade e/ou a compressão angulares. É um instrumento que combine a força com a ductilidade.